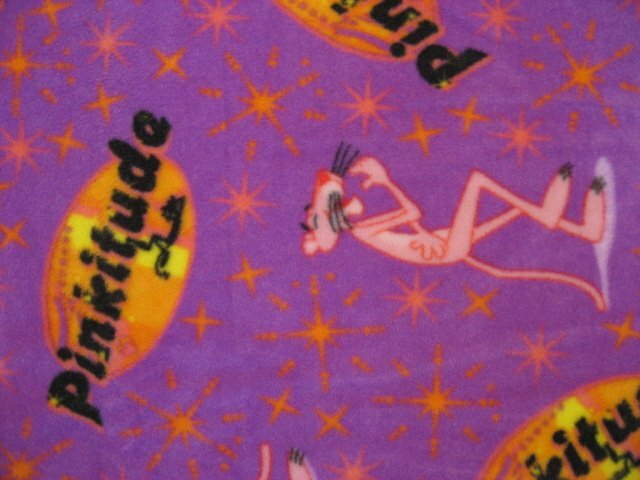 Too Cute Pink Panther with "Pinkitude"
This is a close up photo. 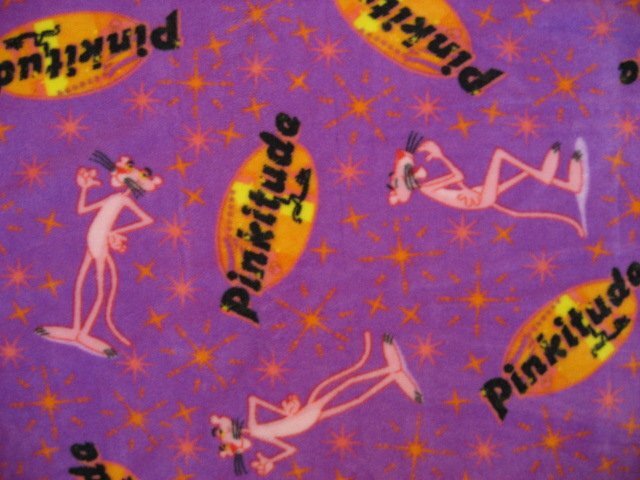 There are many more of these pictures on this 72" long bed blanket. Smoke free workplace of professional seamstress. All work guaranteed. All edges are finished with serged stitching and the corners are rounded. On this blanket the words are mirror image on the backside. My blankets are made of very soft fleece. The picture is on both sides. They are lightweight and warm. They are machine wash and dry. All edges are finished and the corners are rounded.